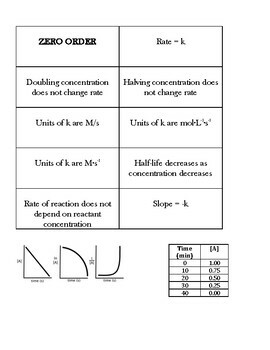 Need extra practice with chemical kinetics - specifically the details of zero, first, and second order reactions -- definitions, integrated rate law graphs, which equations to use for which order, units of k in multiple representations, the rate law, and half lives for zero and first order reactions? 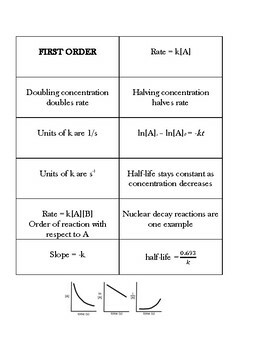 My AP Chemistry students can sometimes struggle with remembering the basics. 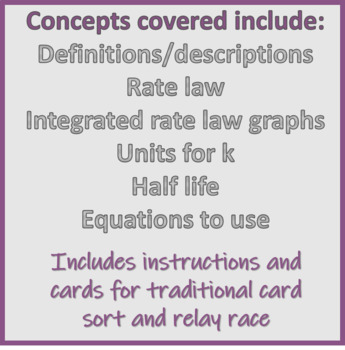 We can practice complicated FRQs all day long, but when it comes down to answering questions, they miss points on just basic concepts/facts they should have memorized. 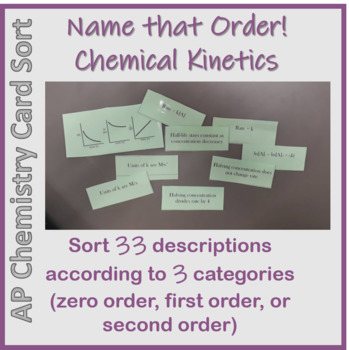 Teacher instructions are included -- I use this as a relay race in my class, but it can also be used as a traditional card sort. This worked well for my students to spend some time on some basics that we expect them to know and then move on.